- Cupcakes with buttercream icing and filling. - Learn buttercream basics, stars, dots, writing and leaves. Cupcake swirl and filling. - 2 cupcakes per person. Up to 3 additional colors for icing (plus white). 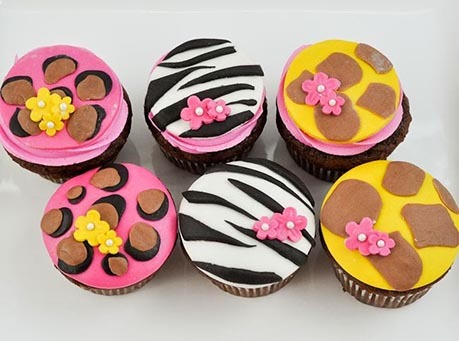 - Learn fondant basics, cupcake filling. - 2 cupcakes per person. Up to 3 colors for fondant. - Market Price - sprinkles, pearl dust, etc.